Here you are out on the town with a friend or two having a good time at the bar having a few drinks and those few drinks turn into more drinks and before you know it you are plastered! You wake up the next morning to the smell of coffee, you look up, and there in the midst of it is a horrible ugly individual handing you a cup of coffee. It is your worse nightmare realizing you slept with this person who the night before probably seem so �attractive� to you when you were drunk. WHAT A WAKE UP CALL FOR YOU! Without a doubt, we live in a very �spend-happy� society. Society makes it so easy and accessible such as the Internet currently to buy and purchase merchandise. However, just like the story above I have shared, you can be strolling along (as if you were drunk and everything looks so good then) living above your means and drowning in debt. You may be buying and spending happy as can be and suddenly wake up and face the realization you are deep in debt and what a worse nightmare that can be. Do you think it is time to STOP BIG SPENDING and end this SPENDING FRENZY you are on? This is what Stop Big Spending is all about. We are here to help. There are millions of individuals finding themselves deep in debt because of overspending. This site is for means of support and encouragement for all of you, we will work together to help you through the tough times you are going through. If you have, any questions please fill out the Contact Us form and we will return to you. If you choose to provide us with personal information by sending an e-mail to someone at Stop Big Spending or by filling out a form with your personal information and submitting it through our website, we use that information to respond to your message and to help us provide you with information that you request. You have our guarantee the information you provide will be kept confidential. The site is here to offer hope and support for individuals who are going through phases of the horrible spending sprees. We all go time periods where we overspend, however, when it gets to the point we are deep in debt we need help. There is no reason to beat yourself up when you get to that point for there are millions of others who have found themselves where you are. Many of you have gotten in debt because a loss of a job and just couldn’t find work. These are stressful times for many. One of the reasons many (for example) Bipolar individuals go through the spending sprees is due to the fact they go through a "destructive phase" in their life and they struggle with "low self-esteem". This in itself can cause a behavior that can turn to many things. Sometimes impulsive behavior can cause this. Some individuals lash out at others or hurt others in this time period. Some may find themselves lying to people they care about. The list can go on of self-destructive behavior. Even several other addictions prop up other than over spending. The way to get help for Bipolar individuals is this-- they can get into therapy sessions either one on one or in a group setting. Many times the individual has to be hospitalized to get help when depression sets in when they realize how they got themselves deep in debt. 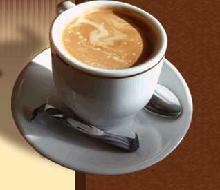 I am the web designer of this site and I have seen many who suffer from the spending sprees. I do know from experience from others it is important to get help immediately when you start showing signs of many of the things I have mentioned. The most important thing is to learn how to work on loving yourself. If you would like to contact me or write any questions in our Message Board for feedback feel free to do so. Receiving feedback from other individuals is a step in getting help. In many small groups I have attended for research I found the feedback helpful because you are able to get other individuals opinions on something you may be struggling with and they may be able to relate. We all know that the answer to free this person of the depression he suffers is to stay debt free. 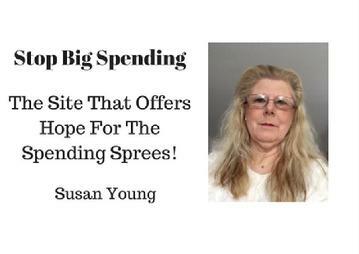 Stop Big Spending---we know what your thinking--- Easier said than done right. If you pay cash and invest the amount you would have been paying in fees and interest, you'll be rich. Charge it and you'll be on the way to the poor house. It's as simple as that. This site has been created just for you. If you are struggling with debts and living with depression as the result of dealing and coping with all that debt you are in the right place. I've pretty much messed up my life and I am having huge financial problems. I can't pay my bills as I have more debt than money I've earned in my entire life. This makes me very depressed and uncertain about my future. Is there any reason why I shouldn't just end my misery and start over? Or, how soon will I find a woman who loves me and a job that supports me?